Become a member of Magento Printing Theme Club, you will get more than you pay. This club is the best value for users, specially for developers who run multiple sites. You can use those for your projects. Become our member to get your maximum values! Which is membership plan for me? Club memberships are best for anyone that builds and/or manages several different sites at once. It makes it easy to download multiple templates and extension, and try each of them out before committing to a site design. 70% of our members are web developers or web design agencies and they usually purchase Best value or Premium package. If you are private shop owners, you can consider Standard package, choose and try many themes or extension as much as you can to improve your shop performance. What is the difference between club fees? In order to join the clubs, you have to pay the Initial Join Club Fee once. After that, you will use renewal fee with cheaper than the payment one to keep your membership be active to receive the premium support, download update versions and other benefits. What will I get after joining a membership plan? After you join the club, you will immediately access the download club area. You should find your favorite product and download it. You will see all products in your package. The all in One Package contains all the files that are necessary to install the extension on the site. After your membership expires you may continue using the same theme you have downloaded and installed on your domain. In fact, you may use the same theme for lifetime if you wish. No other payment is required to keep the same theme. The payment is a one-time fee. However, you will not be able to update the configuration of the products, not be able to have support from our team after the expiry. Support is given as long as you are an active member. In case you expect to use our products for additional domains, you are required to renew/upgrade your membership. Access to downloads, updates, forum is automatically restricted on expiry of membership. Membership fees are refundable ? 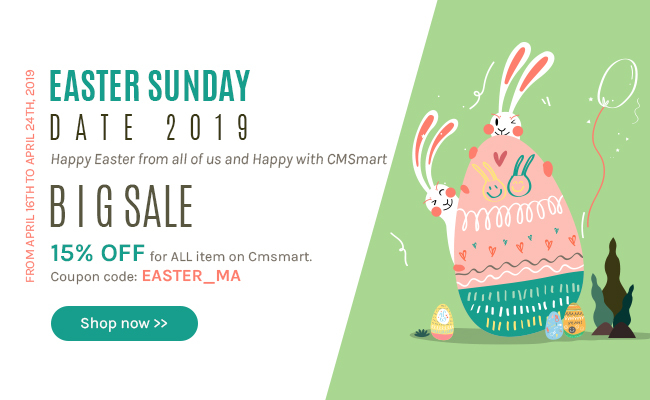 No, as we provide the full download of all our top rate items which is highly rate on Cmsmart.net so you can use all these products, and you receive the support from membership forum and private support for your project. There are no reasons that you cannot use a product and request for a refund. Our club is not for anyone who buy single product, but you can buy a single product, just go to Cmsmart Marketplace. Why do you only buy a single item while you can buy a bundle with the same price? What is your plan for new products and updates? We will release 1 new item each quarter but updates and change logs almost weekly for current products. As long as you are a membership, you can download and use all the new updates. Do I get updates for new versions? Yes, of course! We will send out a newsletter to all our customers when a new version is released, all you have to do is re-download your themes from your Account Dashboard. How do I find if my product has been updated or a new version is released? Visit the product details page and you can check the status of updates or version releases. Remember to check your inbox/spam to get our newsletters for updates, latest versions or new products. Do you offer multi-languages for products? Yes! All our products can be easily customized to your language. Things you may need to change are images which can be edited using our PSD files and media files. However you have to do it yourselves, we can only support English. Can I customize your product to suite my needs? Yes, our products are created for development – this means that images, colors, fonts, layouts and anything else related to the design of our themes can be changed or modified. However, you cannot resell or place the modified themes/extensions (the whole) like downloads on your site. What do you do if your payment is not successful? Normally, our system creates the account automatically after a successful payment. There are some cases that your payment is NOT SUCCESSFUL and we have to review and process to download information manually. If you don't see your themes in the downloads section in 24 hours, then please send us an email as there is most likely an issue with your account. We'll be glad to sort it out as soon as possible. You can cancel anytime the membership renewal fee and can re-active the membership without have to pay the Initial Join Club again. With 1 account, you can buy different Membership plans. It depends on your business objectives. What happens if I cancel my club subscription ? If you purchase a package for the first time and want to cancel, you still can down load and receive support from our team in duration of that package. If you want to re-sign for our Club subscription you’ll need to pay the one-time sign-up fee again. Remember that the re-sign fee is not cheaper than renewal fee. How about your ticket support ? Our team will support you through a private ticket. Number of supported ticket depends on your membership package. We work like your IT staff daily with your projects as long as you are our Club members. What is a Domain License? How this works? When buying any Club Subscription, you will get 1 product license to use for all your products with that the domain URL you buy. It means you have to give the URL of domains go with each license and you can install our products on these domains only. Downloads are unlimited for the duration of your membership, meaning you can download all the themes as many times as you like, at any point during your subscription. Downloads will be restricted after your membership expires. Can I install products on multiple domains? It depends on the domain license support for which you purchase your Magento theme club membership plan. Can I use your products for non commercial and non-profit sites? You may use items for commercial and non commercial purpose. You may use it to create your company's or personal website. If you are a designer or a freelancer, you can use them for your clients. Our products have been also used from non profits organizations and institutions, as well as churches. However, you may not use our themes to create sites which convey to inappropriate content like crime, violence, threatening etc. Can I try out a commercial item before I buy? We do not offer trials. We have set up demo sites for each of our commercial items so that you may see the items in action. Should you have questions regarding a particular theme, please visit our Forum. You may find a similar question has already been answered, or you may raise new questions if not. We love long-term partnership with each website, we are not only a regular club but also your business partner.